Fully-faired sportbikes don’t really get my motor running, no matter how exotic. 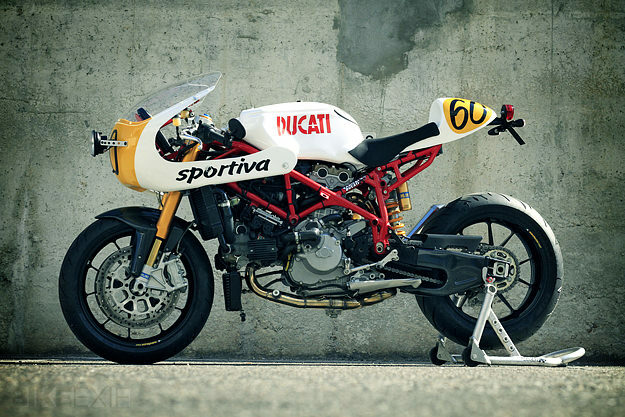 But if I had to put an Italian stallion in my garage, it’d be one of Ducati’s mid-displacement models. 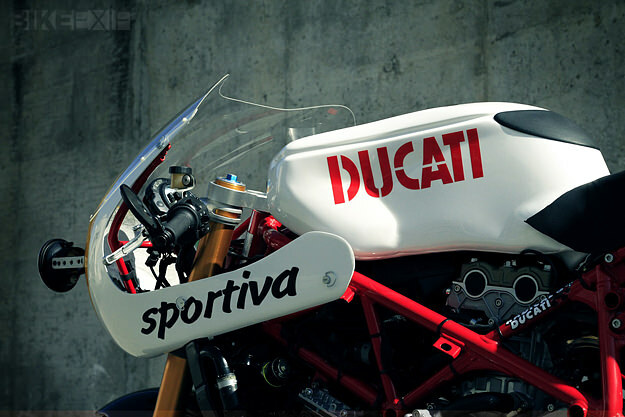 So I like the way Radical Ducati are thinking. 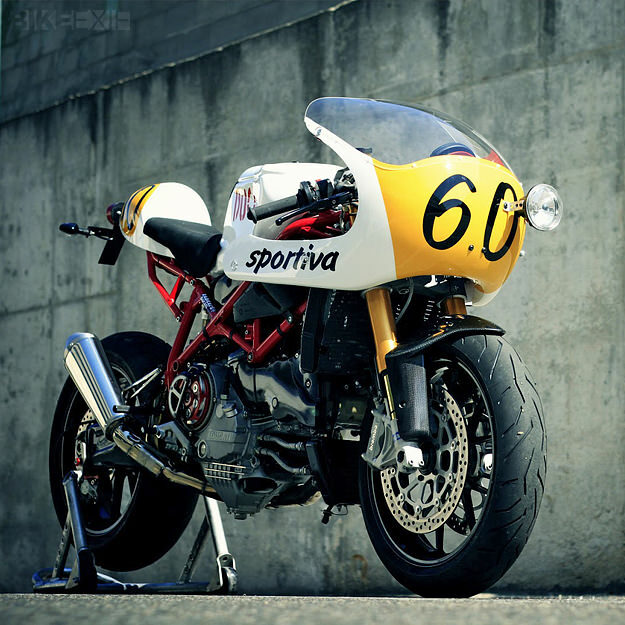 Their latest build, the 7½ Sportiva, is a Ducati 749R given a retro flavor and put on a diet. And being Radical Ducati, they’ve torn the bike down and modified virtually every component apart from the trellis main frame and fuel tank. 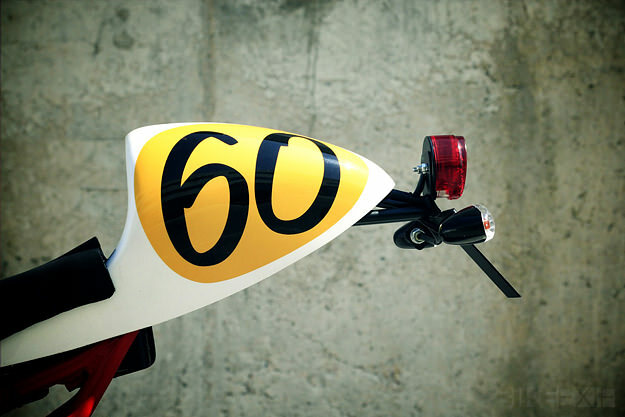 The rear subframe is a custom aluminum job, and the bodywork is a mix of fiberglass and carbon. Öhlins provides the front and rear suspension, and the brake system is a Brembo upgrade—including calipers, rotors and an RCS 19 master cylinder. The engine is left alone, apart from magnesium head covers, but the exhaust is a Wolfman 2-into-1 system terminated with a Spark megaphone. 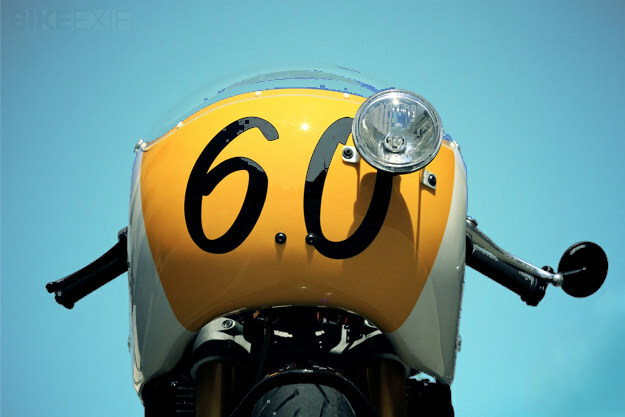 The finishing touch is a 10 cm single endurance-style headlight, offset to the left. It looks kooky, but is undoubtedly effective. 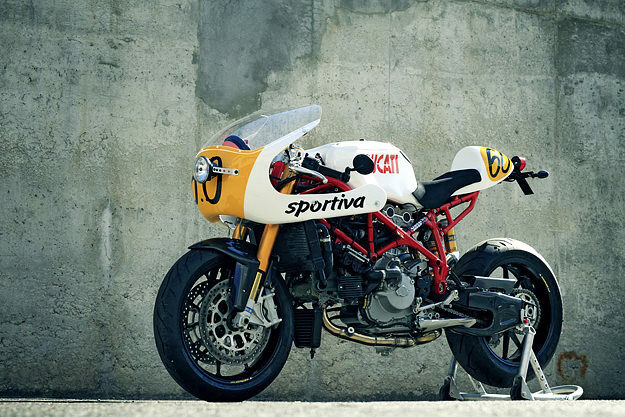 Head over to the Radical Ducati website for the full specification, which is far too detailed to list here.